Check Out Montgomery and Conroe, Texas! The Houston area's most popular recreational resorts are located only fifty miles north of downtown Houston. With the advent of "home offices", the area has exploded with new life for primary residences. So close to the big city, yet nestled near the piney woods of the Sam Houston National Forest, Lake Conroe is described by many as the most beautiful man-made lake in Texas. Because it is located near the county seat (Conroe) and convenient to Houston by way of I-45 and FM 149, the lake is easily accessible to millions of people. Completed in 1973, the 22,000-acre lake has become one of the largest, most active freshwater lakes in the state. A popular site for swimming, boating, fishing, and sailing. Lake Conroe is rich in history but filled with modern facilities and attractions. Full service resorts, hotels, and camping facilities operated year-round offering a variety of recreational activities, festivals, and holiday events. 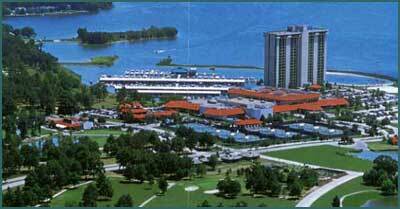 Lake Conroe Park - A 17-acre public park on the shores of Lake Conroe. Perfect for day outings, swimming, family picnics, and fishing. Highway 105 west of Conroe. Call 936-788-8302. Southern Empress - An authentic stern-wheel paddleboat available for cocktail, dinner, and sightseeing cruises on the lake as well as private functions. Docked on 105 West, the 250-passenger vessel is a must see! Call 936-588-3000. National Forest - The Sam Houston National Forest features extensive hiking, rough camping, and wilderness activity as well as seasonal hunting. The forest is also protected habitat for the endangered red cockaded woodpecker. For additional information, call 936-344-6205. The Conroe Outlet Center, opened in April 1992, just off Interstate 45 on League Line Road, immediately to the north of Conroe. The center features over 70 designed outlets with the top names in fashion at an average of 40 percent off retail prices. The center offers designer boutiques and incredible savings can be found on items which include sportswear, lingerie, shoes, toys, leather goods, crystal and china. A multidisciplinary encyclopedia of Texas history, geography, and culture. It comprises more than 23,000 articles on people, places, events, historical themes, institutions, and a host of other topic categories. Request my Free Lake Conroe Relocation Package. 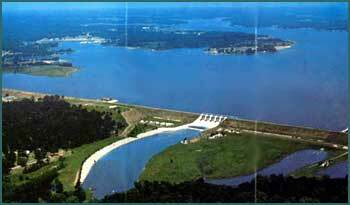 It's packed full of useful and important information about the Lake Conroe, Texas area. Don't move here without it! Remember: I'll send it to you for free and without obligation. Just ask and I will sent it out to you! View my available listings in the Lake Conroe area! This is a one-stop real estate website for all your home buying and selling needs in Conroe, Lake Conroe, Montgomery, Magnolia, Willis, and The Woodlands.